For multi-site industrial companies and major retailers, concentrating and transmitting energy consumption data from dispersed meters has always been a challenge. Remote data collection from isolated endpoints or in hard-to-reach environments is solved by deploying advanced data concentrators, like the WebRTU Z3, with conventional and the latest communication interfaces towards energy meters. 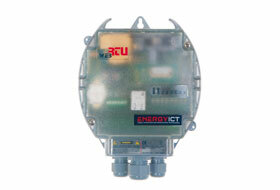 Integration of the WebRTU Z3 with multiple communication networks allows sending gathered consumption data worldwide. Perform benchmarking and compare data from different sites, wherever they are located, in real-time and group them. The perfect solution for small and medium enterprises that want to actively start managing their energy consumption and for remote data collection from isolated endpoints.